about this book: Several years ago, Utah had one of the worst wildfires we've ever experienced. During that time, I was involved with another book so I printed out a lot of news reports and just kept on writing. When the time was right, I got busy plotting out a book about a wildfire set in the Tushar Mountain range near Beaver, Utah. 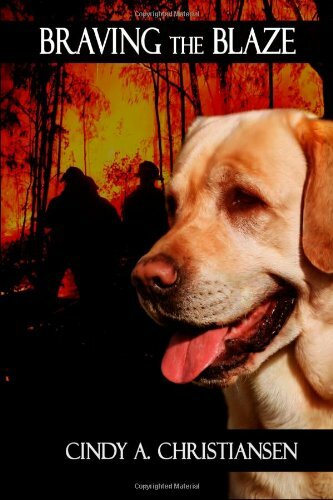 Since I knew nothing about serving as a wildfire volunteer, I did tons of research and consulted with numerous individuals to keep the book as accurate as possible. Thankfully, my family had the opportunity to travel to this area and detail the setting for the book. It was nothing like shown on Google maps. Single-minded Dean Harward is going to become a veterinarian if it kills him. He's worked summers as a volunteer wildfire fighter to earn big cash for college. Just his luck, a pyrophobic woman gets assigned to his team. He's certain she'll get him killed before he can graduate. Ginger Warby is a walking firestorm as accidents continually spark around her. Or are they accidents? Can Dean keep the flames of desire he reluctantly feels for her under control long enough to keep them and his Yellow Labrador alive? The experience Ginger experienced in her youth to make her pyrophobic was actually based on a similar experience I had. Hopefully it lent some authenticity to her fears because I still have issues with fire.